Description A great gift idea for family and friends. 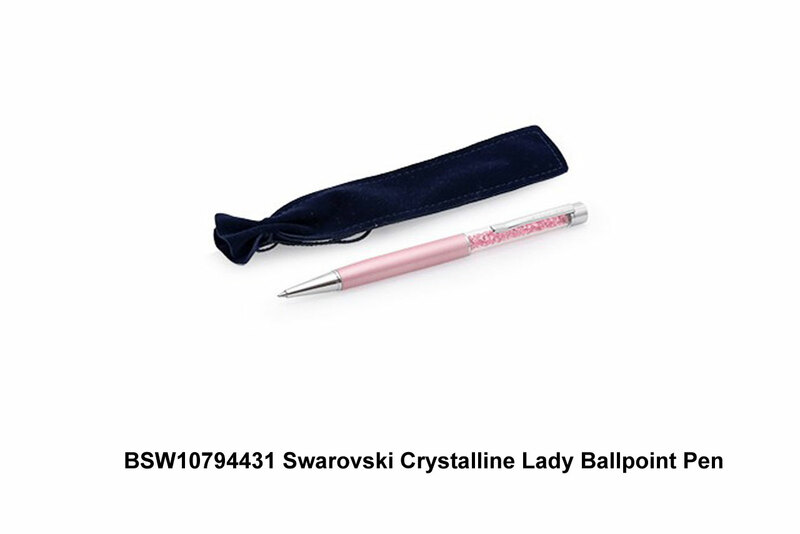 This sleek pink pearl ballpoint pen adds a colourful, stylish note to your desktop. The body is filled with 160 sparkling crystals, creating magnificent light reflections with every stroke. It is delivered in a stylish velvet pouch and the high quality refill can be replaced quickly and easily.